Whether they’re public or private teachers, home-schooling parents, college professors, children’s church leaders or Bible study teachers, they’re all influencing others. As this new school year begins, let's pray for our teachers. We sat together at the table, nestled into the tiny chairs made for young students. The students’ artwork hung throughout the room … the pencils ready, sharpened for writing projects … and my husband and I got a newsy update about our daughter’s progress during the school year. As the principal’s voice came over the intercom announcing it was time to wrap up our 15-minute appointment, we realized there was no parent standing in the doorway waiting to come in. We had a rare extra pocket of time with our daughter’s teacher. This open window allowed us to continue our conversation … and we began to chat about real life. Which included some pretty tough stuff. We were on the same committee for an upcoming event and she apologized for missing some of our meetings. She then shared the hard reason she’d been absent. Her husband had recently learned he had a rare form of cancer and they were in the middle of considering all their options. Talk about real life, indeed. As a cancer survivor I wanted to offer some hope, but at the same time, felt my personal story or encouraging words weren’t enough. So although I’d never asked her before, in that moment I felt the Holy Spirit nudge me to ask if I could pray for her right then, and she agreed. After I finished praying, she thanked me and then relayed how she and her husband had been growing in their own faith lately. Although this was a teacher I’d known for several years, I’m sad to say it took a conversation about cancer to lead me to discuss matters of faith or pray aloud with her. But I’m oh so thankful that I didn’t ignore God’s prompting. And at the same time, I was utterly convicted to do more of that. As today’s key verse Colossians 4:2 reminds us, God calls us to devote ourselves to pray "with an alert mind and a thankful heart." Seems simple enough, right? However, I know I have room to grow in this department! I want to have that alert mind and be on the lookout for ways to pray more personal, specific prayers for everyone in my sphere of influence … especially the teachers in my world. So as this new school year begins, will you join me in prayer for our teachers? Whether they’re public or private teachers, home-schooling parents, college professors, children’s church leaders or Bible study teachers, they’re all influencing others. This summer, I began doing weekly prayer walks around my kids’ schools. 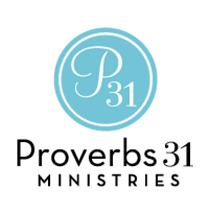 Some specific areas I’ve prayed for in this upcoming school and ministry year include: safety, leadership transitions, divine wisdom in lesson planning, endurance, health, perseverance to finish strong, encouragement to handle difficult situations and an abundance of grace and patience in solving difficult situations. As our children (and sometimes we ourselves) head back to school, let’s remember the vital role teachers play. And why they need our prayers. Father God, I come before You and lift up all our teachers. Thank You for the important part they play in our lives. Lord I also ask You help me stay devoted to prayer with an alert mind and a thankful heart. Empower me to encourage the teachers in my world to keep on pressing on, when it would be so much "easier" to quit. In Jesus’ Name, Amen. If you’ve got school-age children living with you or near you, ask the names of their teachers and begin praying for them today. Consider grabbing a few moms or join a Moms in Prayer group to meet and pray weekly for them. Know someone who’s teaching or influencing the next generation? Whether they’re instructing children, or merely those younger in the faith, consider sending a text or dropping a note in the mail to say you’ve prayed for your friend today. Going Nowhere or Getting Ready?